LASEK is an alternative to LASIK, and it’s a good choice for patients with thinner corneas who may be unsuitable for LASIK. This treatment is less commonly performed nowadays compared to LASIK mainly due to the longer recovery time. However, in certain cases, it is the most suitable procedure. Click here to get in touch with our expert team and we can answer your questions. What is LASEK eye surgery? Who is LASEK eye surgery suitable for? 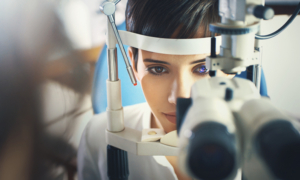 What are the risks of LASEK eye surgery? Your eyes see by allowing light to enter through the cornea (the front part of the eye) and focus on the retina. The information is then communicated to the brain via the optic nerve. If you need glasses or contact lenses to see clearly, it’s usually because you have eyeballs that are either too long or too short in relation to the size of the cornea. Longer eyeballs result in short sightedness or myopia, while shorter eyeballs result in long sightedness, or hyperopia. During the treatment your corneas are reshaped with precision accuracy so that light will focus directly on your retinas. LASEK surgery is surface laser eye surgery in which the wavefront-guided treatment is applied directly to the surface of the eye without first cutting a flap in the cornea (as in LASIK). Sometimes called advanced surface ablation, LASEK avoids creating a flap in the cornea and instead, the surgeon simply makes a tiny cut with a laser and peels back the tissue on the surface on the eye (the epithelium). The epithelium remains intact throughout the procedure. LASEK laser eye surgery is suitable for patients with thin corneas, where it is important to preserve tissue. Also, patients who practice full contact martial arts, extreme sports or are in the police or military, are better suited to LASEK laser eye surgery because of the absence of a flap that could otherwise be disturbed following a blow to the face. The risk of serious complications after LASEK and other surface techniques of laser eye surgery is very rare and is the same as with LASIK (less than 1/1000). As with LASIK laser eye surgery, patients can experience dry eyes, reduced night vision, and glare, although in many cases this is temporary. We’ll take you through the process step by step and explain the potential complications to help you to weigh up the risks and benefits in order to make an informed decision regarding laser eye surgery. LASEK surgery is surface laser eye surgery in which the wavefront guided treatment is applied directly to the surface of the eye without first cutting a flap in the cornea (as in LASIK). After LASEK laser surgery you will have a bandage contact lens to protect the surface of the eye for up to a week after the surgery. You will need to have up to 5 days away from work. Your eyes may also feel more sensitive and gritty after surgery compared to LASIK. 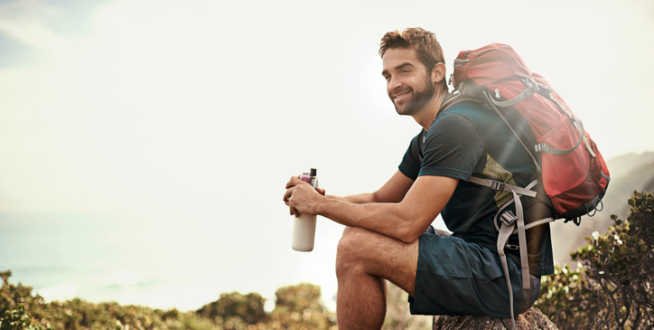 Visual recovery following LASEK laser eye surgery is slower than after LASIK laser eye surgery, but patients enjoy the same excellent level of vision once the eye has healed. Visual recovery is slower after LASEK laser eye surgery and can take 1-2 weeks for driving vision to return. Your vision will continue to improve for several weeks after treatment. Laser eye surgery is not painful! Eye drops containing an anaesthetic solution are applied to your eyes and you’ll be numb within seconds. While you may feel some pressure during the procedure, there is absolutely no pain involved. I would wholeheartedly recommend OCL to anyone looking into laser eye surgery. They are surely the best in the field. The costs below are both eyes and include an initial consultation and follow-up appointments. Find out more about our pricing and the initial consultation required. Try our Vision Correction Calculator. By submitting this form you confirm that you’re happy for us to contact you by phone and email.